“I think he was let off easily." MS Dhoni entering the field of play to argue with the on-field umpires about the reversal of a decision has sparked a huge debate amongst cricket experts on whether captains of a T20 franchise should influence the decisions of umpires like this and whether it is okay for them to dispute the decisions in such a way. 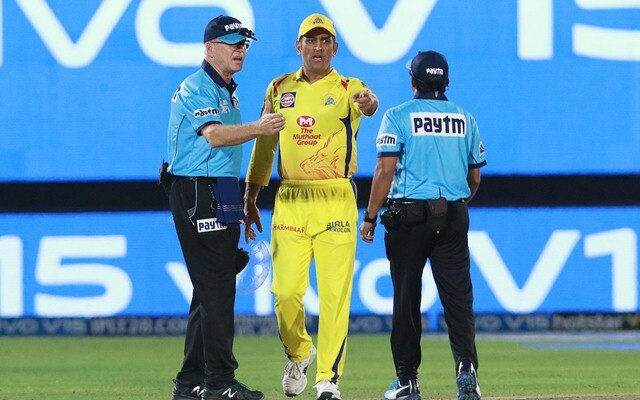 Dhoni was fined 50% of his match fees for his antics on the field during the RR v CSK match, as he questioned the decision of umpire Ulhas Gandhe to reverse his no-ball call after discussion with leg umpire Bruce Oxenford. Many experts found Dhoni’s actions in pure taste and though others have defended him, former India captain Virender Sehwag has come down harshly on Dhoni.